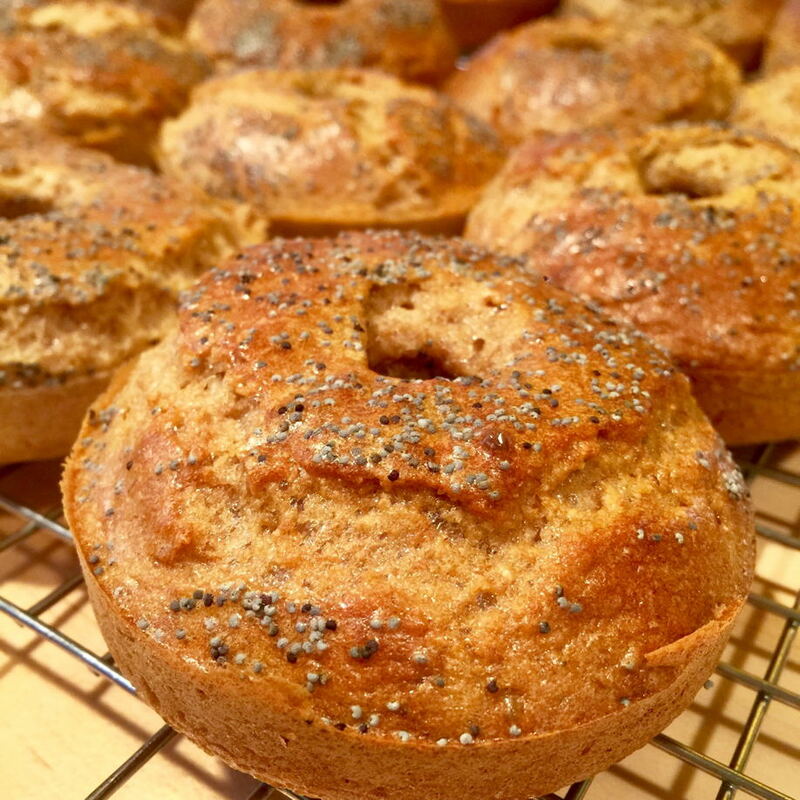 Nina’s Paleo Bagels are the delicious healthy alternative to grain-based bagels! 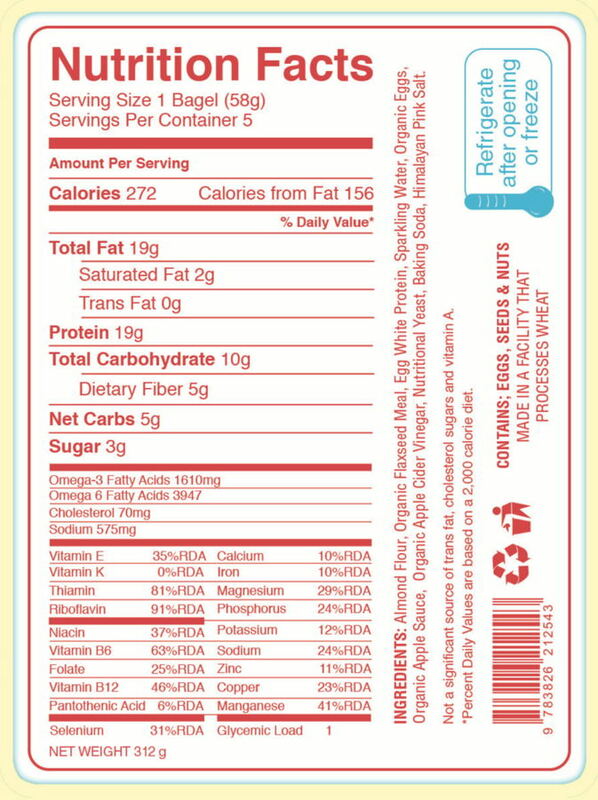 Our bagels are gluten/grain-free, high protein, high fiber, low carb and have a glycemic load of 1! 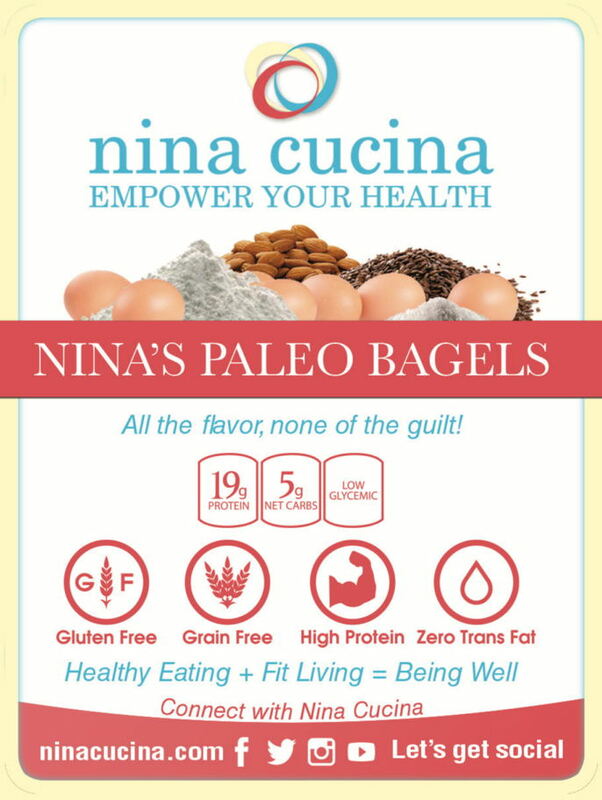 With Nina’s Paleo Bagels you get all of the flavor and none of the guilt! Nina’s Paleo Bagels are a nutritional powerhouse! For freshest flavor, refrigerate or freeze. • We ship our bagels Priority Mail because of the reliable two-day service. Our team wants you to enjoy fresh and delicious bagels! ~ 1 pack of bagels cost $6 to ship to the Western Region on the U.S.
~ 3 packs of bagels cost $9 to ship to the Western Region of the U.S.
~ 4 (and all the way up to 6) packs of bagels cost $10 to ship to the Western Region of the U.S.
~ If you live in Florida or anywhere on the east coast of the U.S., the best bet is a medium flat rate priority mail box at $14. We can fit 6 pack of bagels in this box.